The popularity and wide reach of Pokemon Go means Game Freak has a strong platform for revealing new Pokemon. That's exactly what happened earlier today, when the worlds of Pokemon Go and classic Pokemon teamed up to pull back the veil on "Meltan." Though, to be honest, the interlude just left us all with more questions than ever. First and foremost: What's the deal with Meltan, anyway? It looks like someone screwed a Ditto. No, I mean it literally looks like someone placed a screw on top of a Ditto—or a nut, if you want to get more accurate, though I wouldn't bother because it's not like the juxtaposition of "Ditto" and "Nut" is less suggestive. I'm not about to huff about how Meltan is lame. Taken out of context, a single Unown is lame. When you put it alongside its brothers and add some lore, however, Unown is interesting. Add a forkful of creepypasta, and it becomes kind of unsettling. Maybe Niantic and / or Game Freak has big plans for Meltan, and the weird little critter is just part of a greater whole. Or maybe he really is lame. Either way, I'm not passing judgement until I learn more about him—and I probably will when more webisodes of "The Two Professors" is uploaded to YouTube. While we're talking about The Two Professors, let's just stop the world for a second and ask what's going on with the face-to-face meeting between Pokemon Go's Professor Willow and Pokemon Red and Blue's Professor Oak. Professor Willow (who has a younger voice than I imagined, given his not-unattractive silver hair—and is that Roger Craig Smith, aka Sonic the Hedgehog??) passes for a human being, but Professor Oak is stylized to look as anime as ever. The contrast between the two Pokemon scholars is baffling. Is it meant to symbolize that the Pokemon series' "old guard" is indeed working in harmony with everything that's new and modern about the series, i.e. the ability to hunt for Pokemon in the wild using smartphones? I don't know, but I admit I felt a flutter of panic when Oak referred to Willow as "my boy." I thought, "Oh no, the senile coot whose loins foisted Gary on us went ahead and reproduced again." Turns out Oak is just Willow's mentor, though. Whew. I don't know what I was worried about; I doubt there are too many children walking around with the "Oak" surname. 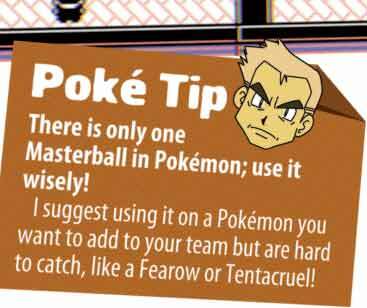 Surely Oak's famously terrible advice to use a Master Ball on a Pidgey prompted at least one angry young Pokemon trainer to castrate him with a Scyther years ago. Pokemon War Crimes Across History: Exhibit A. Back to Meltan, though. Lame or not, we wonder if this Pokemon Go reveal might be a preview of a Gen VIII monster. But a diminutive Pokemon that turns into a Ditto whenever it's caught? Talk about a weird choice for a new reveal, if that's what's going on with Meltan's introduction. But social media's increased role in new Pokemon reveals has led Game Freak to become quite expert at holding back the new games' biggest, coolest debuts—new starters being a perfect example—until it's drummed up sufficient hype for whatever game is on the menu. Maybe warming us up with a Pokemon that looks like dad dropped some of his hardware store shopping into a wad of bubble gum during a harried trip back to the car isn't the worst idea. Tagged with Articles,	Game Freak,	Niantic,	Pokemon.